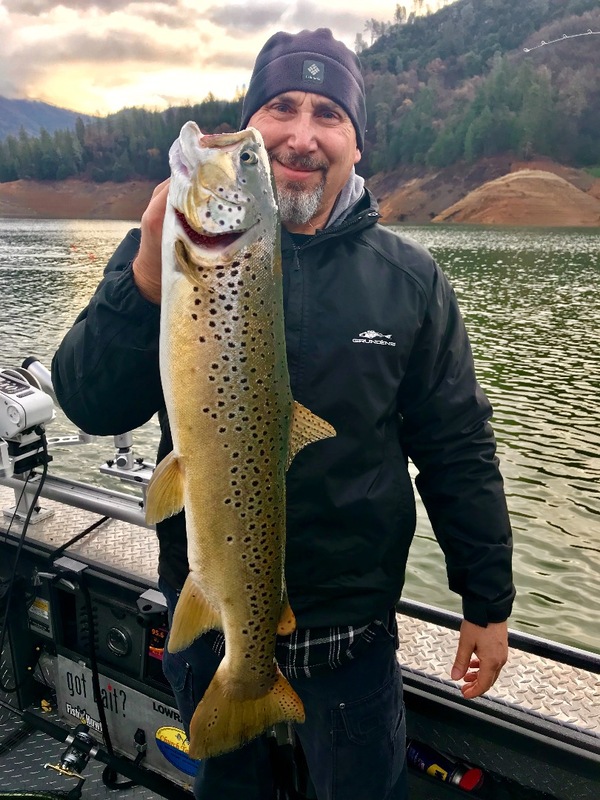 Jeff with our first C&R brown trout of the morning on Shasta Lake! 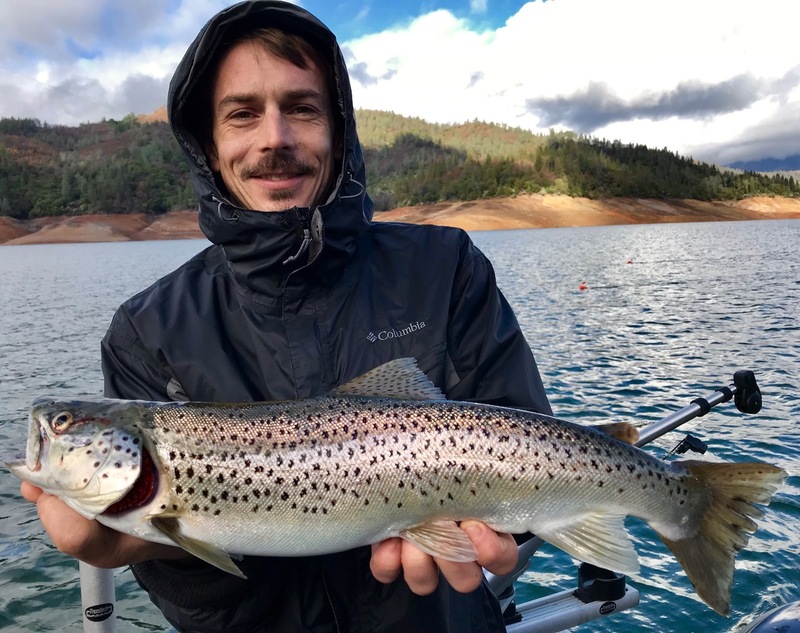 Today we fished Shasta Lake and found a pretty good morning bite right out of the shoot! First line in the water went "fish on" in less than a minute! We had a steady bite all morning with some good wind chop and overcast skies. 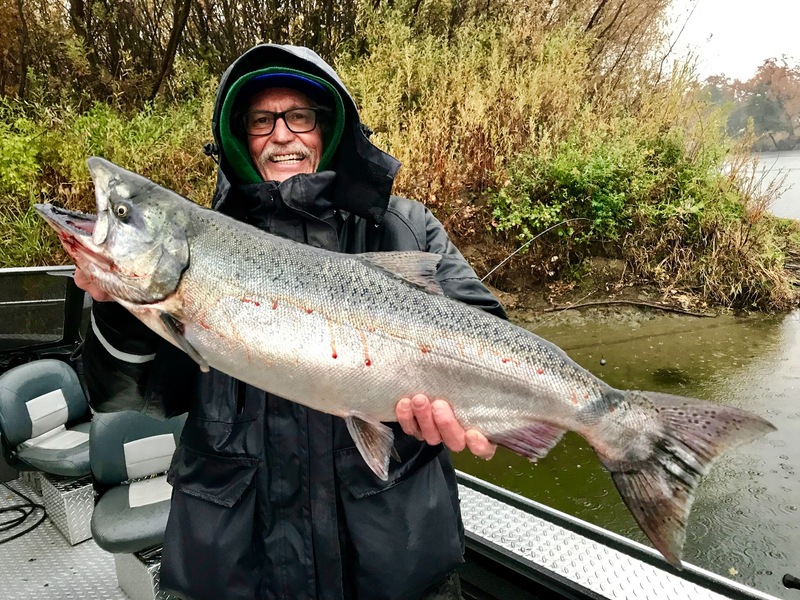 We saw a slow period around noon and then hit some nice multi pound rainbows while losing two really nice rainbows who threw hooks after going airborn a few times each. 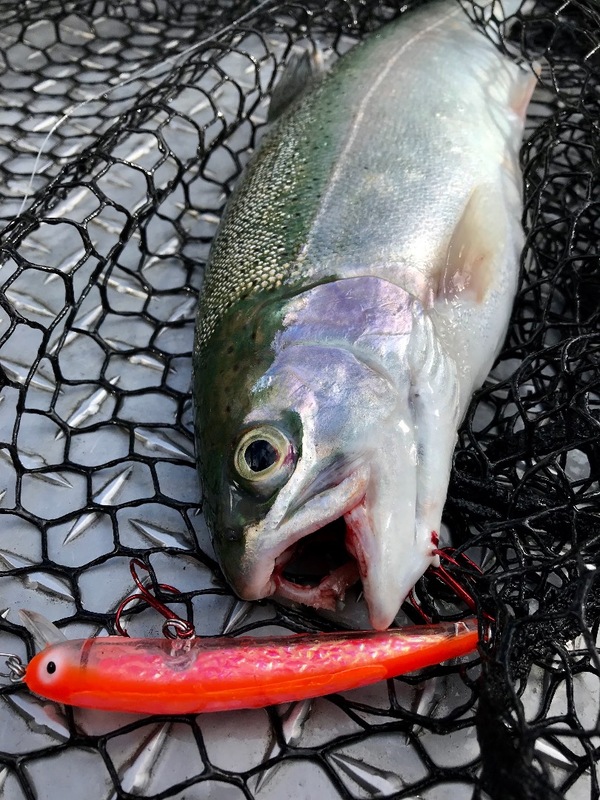 Still a blast to hit these hot fish and with a bunch of big fish in the box, there wasn't any pressure to land the big rainbows. 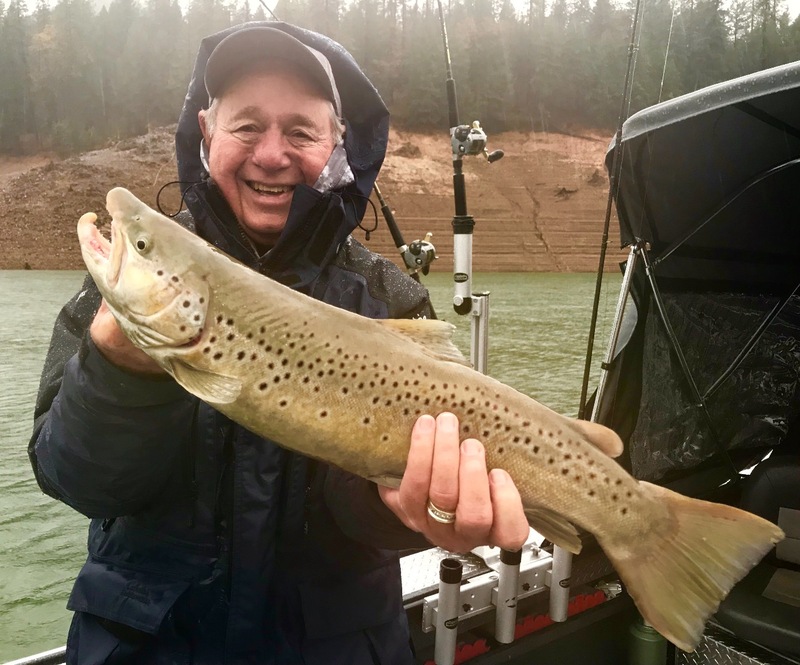 We landed 3 browns and limits of rainbows in the 2-4 lb range. 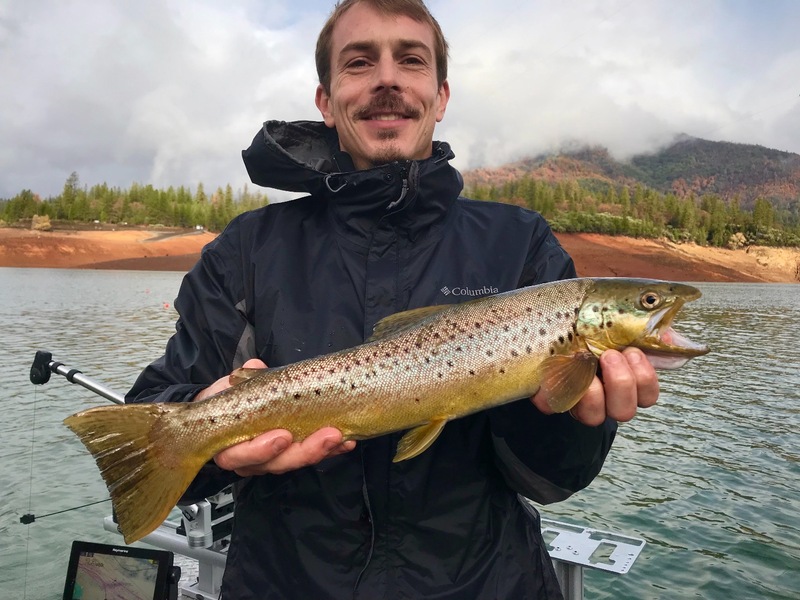 The rainbow bite is really good right now and we're catching some nice browns on every trip this past week. The water is looking great and the tough weather is keeping a strong bite going. We've got nothing but good fishing ahead as long as the water conditions hold.